When it comes to companies offering a discount model, there is plenty of competition. Brokers and agents have long understood that sellers want to pay lower commission rates. But they also want full service, notes Ryan Elliott, vice president of Assist2Sell, and that’s his company’s premier distinction. 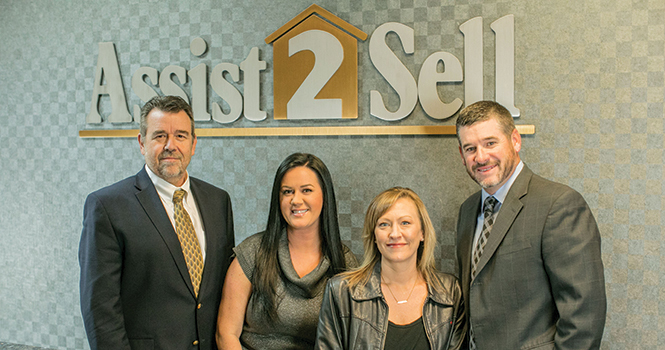 Founded in Reno, Nev., in 1987 by a pair of independent REALTORS® who saw a shift in the industry, Assist2Sell was created to marry the two concepts—low commission and full service—in an advantageous way…as a full-service discount business model that exceeds consumer expectations while offering unlimited opportunity to a growing cadre of agents and franchise owners. “To be successful in today’s real estate world, it helps to have a unique advantage,” says Elliott. “There has never been a better time for a business model like Assist2Sell.” In this exclusive interview, Elliott shares the company’s unique vision, and the strategies that help their franchisees become front-line competitors. Barbara Pronin: Tell us a little more about the founding strategy of the company, and how the concept took off. Ryan Elliott: Actually, the original motivation the founders Mary LaMeres-Pomin and Lyle Martin had was based on their frustration in spending 80 percent of their time looking for their next deal. They were successful agents with a strong base of repeat and referral customers, but struggled with adding new business. Theirs was a small, traditional office—just the two of them and a support person. When they did get a chance to pitch a new seller for a listing, they would sometimes lose the listing based on their small office size. Sellers perceived that an office with a lot of agents meant those agents would all be trying to sell their homes. We all know that’s not true, and that the MLS levels the playing field, but convincing sellers was a challenge. When they decided to try to attract more business by lowering their fees, and took the bold step to advertise this, all of a sudden, the sellers didn’t care about the number of agents in their office. The concept was pretty simple, and it hasn’t changed: If you charge home sellers a very competitive fee, provide the same services your competition offers, and deliver results, you can increase volume more than enough to make up for the lower fees. That’s what Mary and Lyle started with and it’s what has helped us grow into a familiar brand with hundreds of offices all over North America. BP: What’s your own career path been like, Ryan? What brought you to the company’s leadership team? RE: My dad was a general contractor in Reno, mainly building homes on speculation, and he thought I could help on the sales side. So, I got my real estate license and went to work for a traditional brokerage in Reno. I was aware of Assist2Sell but, like other agents, I didn’t see them as a threat. But after losing a couple of listings to them, the final straw was when a relative listed with them. Then I decided to pay attention. I pretended I wanted to interview for an agent position with the intent of figuring out why they were getting so many listings. While I waited to meet with Lyle and Mary, what stood out to me was that all the agents were busy and the phones were ringing—a noticeable difference from my office. In the interview, I learned the secret was no mystery. Do everything I was already doing, but charge less. I looked at their systems and procedures and the unique Assist2Sell strategy; they would provide the leads and I would provide the service—a distinct difference from my traditional office, where the job of finding business was on my shoulders. I was so blown away by the concept, and the whole environment of success, that I joined them on the spot. My sales volume skyrocketed, and within a couple of years I became office manager. When Lyle and Mary decided to start franchising, I was promoted into franchise sales and I sold my first franchise in Springfield, Mo., in 1996, and we continue to grow the franchise to this day. BP: What sets the company apart? RE: Our distinctive business model. The most obvious difference is in the commission structure. That’s a huge distinction that can save homeowners thousands of dollars. But the value doesn’t stop there. Every one of our full-service offices is staffed by experienced, licensed real estate professionals who take care of everything home sellers need from a real estate company. BP: How do you provide full service at a lower commission rate? RE: We operate as a team at every level of the company, and especially at the franchise level. An office doesn’t need a lot of agents, because, as every small business owner knows, a well-run business can do more with less—in this case, a limited number of professional agents who are trained to work as a team and who have all the tools they need to do their best work, all provided by the franchise. RE: A lot of franchisees don’t want to mess with technology, so we do it for them. When you buy a franchise, you buy turnkey technology—a complete, seamless back-end ecosystem providing all the business management and marketing systems you need, from website to social media management. BP: What kinds of brokers are attracted to the Assist2Sell business model? RE: Many who join us are top-producing agents who have built successful teams under the flag of a well-known brand. Their next step is wanting to own their own business. They understand that in their present spot, most of the recognition goes to the company they work for—and they realize that they will now be competing with their old company, as well as with other well-established brokerages in their market. But they also understand that working as a team brings the ability to handle significant volume. They just need a way to attract that volume—and once they examine the Assist2Sell model, they quickly figure out the answer. BP: Aren’t agents reluctant to lower their fees? RE: Whether it’s at the kitchen table or through the fees paid for leads generated by their own company or one of the many lead-generation companies, most agents are currently discounting their commissions—it’s just that consumers don’t enjoy the benefit of the discount and agents don’t realize any long-term benefit. We don’t keep our low fees a secret. We’ve built our brand by attracting home sellers with our powerful lead-generation system (our advertised low fees), and by delivering a level of service that exceeds the industry standard. BP: Can agents really make a decent living selling homes for a lower fee? RE: We didn’t start this business to make less money. With the increase of volume and efficient processes and systems, our agents typically earn much more than traditional agents. BP: What is your approach to coaching and training? RE: We want our franchisees to know, “you are in business for your-self, but not by yourself.” All franchisees begin with five days of intensive training at our Assist2Sell Academy in Reno—then get as much continuing coaching as they need. One of the best things is that all our franchise owners help each other by sharing their experiences. If some-one comes up with a new idea, we’ll work with them to fine-tune and test it. If it works, every office shares the opportunity. We’re not a bunch of suits here at our headquarters in Reno. Pretty much all our leadership team came from the residential real estate arena. Our VP of Franchise Support, Barry Wardell, was a top-producing RE/MAX agent. BP: How do you see your business model competing in the industry going forward? RE: We believe we’ve always been ahead of the competition in this space. We’ve watched a lot of the dotcom players come and go over the years. Many try to copy our model, but can’t seem to make it work. They think the secret is just to lower the fees. But that’s only part of the recipe. Consumers today are more knowledgeable than ever about buying and selling real estate. They do the research, they know what their homes are worth, and they don’t want to pay any more in commissions than they need to. So, a business model like ours, which offers a low fee and proven marketing expertise is more attractive to them than ever. With the recovery of the real estate markets nationally, competition for listings is intense. As consumers become more aware of the high demand for homes, it’s only natural for them to question why they have to pay high fees when the market is so hot. I don’t think anyone really thinks commissions will be going up in the future. Agents that want to remain relevant in the new environment of lower fees need to figure out how they can turn this trend into a profitable advantage. We have the answers. BP: Why buy your franchise? Can’t I just lower my fees and copy what you do? RE: That thought occurs to everyone who thinks about trying this concept. The answer is of course you can try—but why? We make it so much more appealing to join our team. As the saying goes, “Why reinvent the wheel?” We’ve had new franchisees join us and later confess that they did try it on their own, and they spent a ton of money trying to figure everything out. Fortunately, before they ran out of all their money, they recognized that there’s more to the recipe than just lowering the fee. We also try to point out to prospective franchise owners that even if they do succeed on their own, do they really want to be competing with us when we do sell a franchise in their area? BP: What do you see as your greatest challenge? RE: Getting our message out to a broader audience. We are among the most unique and compelling real estate franchises in the space today. We have the flexibility to adapt quickly to market changes, and we are well-equipped to provide entrepreneurs and consumers with top-of-the-line service and support at a very affordable cost. We’ve launched a new, national website that’s attracting a lot of attention, and we’re exploring new and different marketing venues in the effort to reach more people and help them understand and appreciate our unique value proposition. BP: What is your greatest strength? RE: We’ve had 30 years of experience building a franchise program that works without the need for high overhead or a large sales staff. It’s surprisingly affordable, and we teach our franchisees all they need to know to start and build a strong business. For more information, please visit www.assist2sell.com.